From the 06 August 2012, Direct second year admission of 2012-2013 starts. 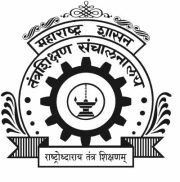 Students who want to take admission for the Engineering and Technology they can apply through the official website of the Directorate of Technical Education, Maharashtra State, Mumbai. Then go to www.dte.org.in/dse Fill the online application form take a printout and then print out and document verification and confirmation along with Online applications form at ARC. Lastly only work to see online remaining to see Provisional Merit list, Grievences (If any query) and then final merit list.